Gambling Licences – Do You Need One? You’d be forgiven for thinking that you’d only ever need a gambling licence if you’re running a casino. Or perhaps setting up shop as a bookmaker. However, there are lots of situations in which applying for a licence could keep you on the right side of the law. It’s not that complicated. Here’s a basic guide to what the law says, and how to apply for your licence. What is a gambling licence? There are three different types of gambling licence in the UK. If you are planning to set up a business in the gambling sector, you’ll need a personal licence, and another one for your premises. Every member of staff involved with handling cash will need to apply for a licence too. There’s lots of guidance on the Gambling Commission website to help you with the process. Some members of the public might need to get licensed too, even if they are not running a casino or bingo hall. At the heart of most fundraising events is a raffle. Anyone who has organised a coffee morning or summer fete knows how much profit you can generate. If you’re purely selling tickets at the event, and drawing the tickets at the end, you don’t need a licence. However, pay your local council around £50, and you’ll be able to sell tickets in advance. This could greatly increase your profits. Everyone understands the concept of the National Lottery. Since the draw began in the 1990s, it has raised millions for good causes. If you’re a shop keeper who wants a Lottery terminal in their shop, you’ll need to get licensed first. Other sorts of lotteries also need set up legally and professionally. 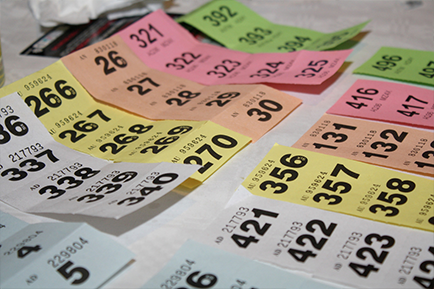 A raffle is defined as a lottery if you’re selling tickets in advance. All those draws you see on social media asking you to buy a ticket for £5 and be in with the chance of winning an expensive prize are lotteries. And most aren’t being run legally, either. Only raffles and lotteries which are for charitable purposes are legal in the UK. If you’re applying for a licence to run a commercial gambling operation, go online. There is a simple process to follow on the Gambling Commission website. As part of the application, you’ll need to submit a DBS disclosure form. This shows any details of your criminal record. You will have to apply for your basic disclosure separately. When you have the certificate, you can forward it to the Gambling Commission. If you need a licence for running a charity lottery or raffle, then apply to your local county council. There should be information on their website about how to apply, along with details of fees. Usually, you’ll pay an initial application fee, then a reduced fee each year thereafter. Council licencing departments are also good places to get advice on whether a licence is needed in the first place. Individuals have to apply for licences, not organisations. Previous: Previous post: DBS Checks – True or False?